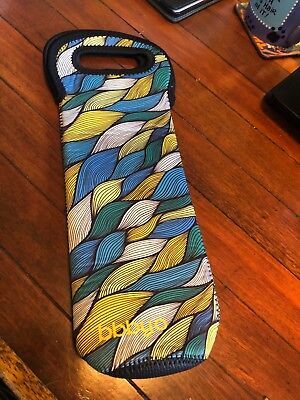 BBBYO - Neoprene Wine Cooler Cover. - Brand New. Popularity - 16 views, 0.3 views per day, 55 days on eBay. Good amount of views. 1 sold, 0 available. 16 views, 0.3 views per day, 55 days on eBay. Good amount of views. 1 sold, 0 available.